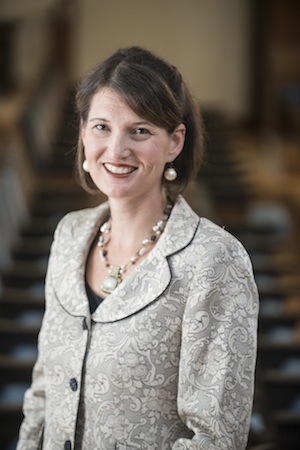 Tiffany Steinwert, Ph.D. is Dean of Religious and Spiritual Life at Wellesley College and an ordained Elder in the United Methodist Church. She has spent her career fostering spiritual formation and collective action in diverse congregations and communities. Serving as Dean of the Chapel since 2015, Steinwert nurtures religious, moral, and ethical education for students, staff, and faculty. Integrating intellectual and spiritual learning, she encourages the campus community to explore the richness of multifaith communities, build relationships amidst difference, and cultivate healthy contemplative practices for the transformation of self and world. Trained as a practical theologian, Steinwert connects communities of faith and non-faith through critical reflection and dynamic action. Her scholarly work explores emerging pedagogies for inter-religious education and contemplative studies. Through courses on Interfaith Dialogue and Leadership in the 21st Century, she invites students to wrestle with the existential demands of life in the context of academic inquiry. In her many roles as pastor, scholar, and organizer, she has empowered people of all faiths and no faith to build relationships amidst difference, craft meaningful communities, and create change through collective action. Before coming to Wellesley College, Steinwert served as Dean of Hendricks Chapel at Syracuse University, as a pastor in New England congregations, as a national organizer for diverse social justice organizations, and as a teaching fellow at Boston University and Harvard Kennedy School leading courses in theology, community organizing, and leadership. Steinwert holds a B.A. degree in Psychology and Women’s Studies from Williams College, a Master of Divinity degree from Boston University School of Theology, and a Ph.D. in Practical Theology from Boston University.